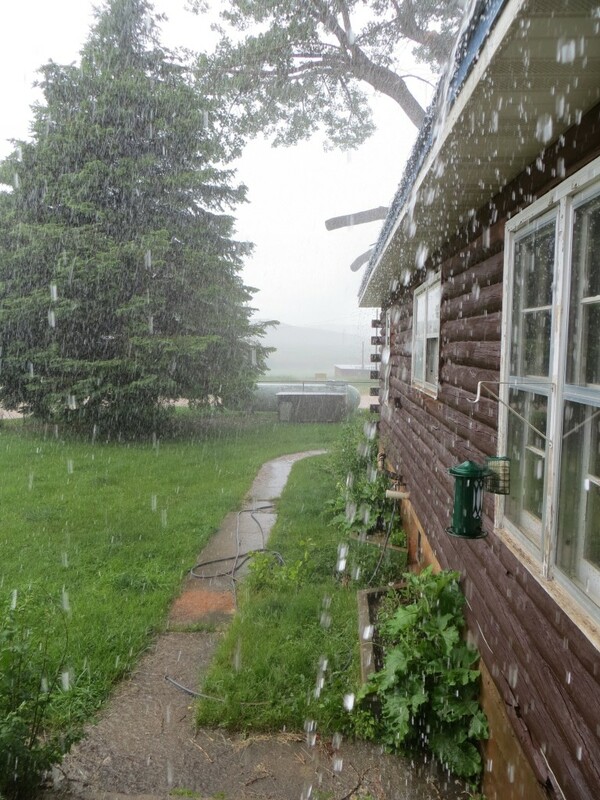 It poured for a bit… .3″, but, unbelievably, the hay doesn’t look too bad! It’s been hot here, so hay dries quickly… Daniel is cutting it down as fast as he can! Of course, tomorrow we gather our steers to get ready for the Big Sale on Monday… so haying will be postponed until the late afternoon! Haying is weeks early here, and we are still in the middle of it. Love your pretty semi-circles of hay. I really like the picture of the rain! 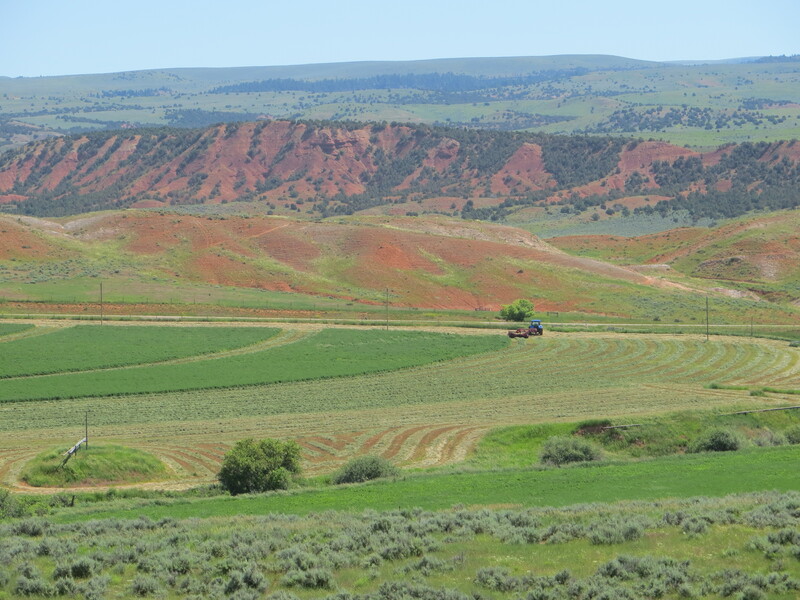 Just the picture for now, tho, no rain as we are making hay, too. Wow! 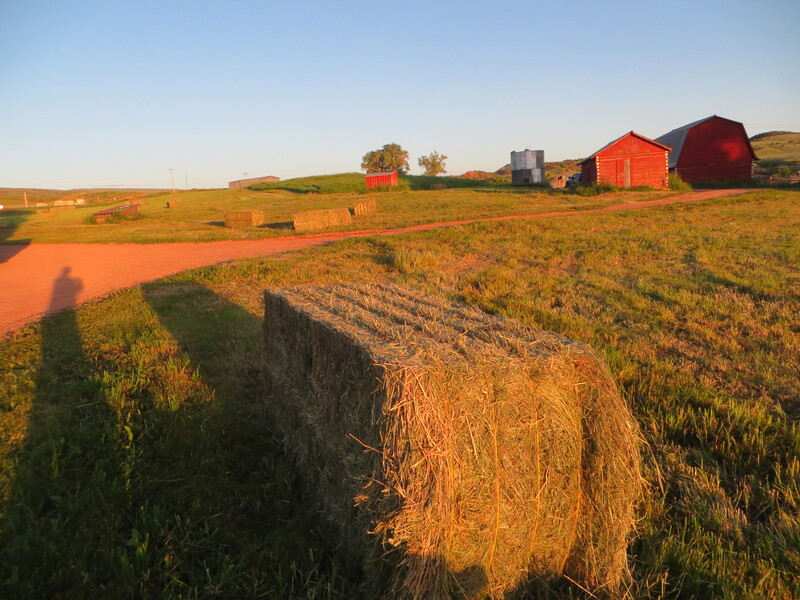 haying season already – that came along pretty fast. Hope you get all the cows rounded up quickly today, and that it is a nice day with no rain. Love the red barns behind the hay bale.